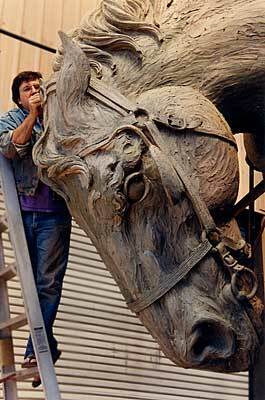 The finished sculpture is installed. The President of Historical Landmarks, Inc. is third from right, and Chuck Yeager is second from right. 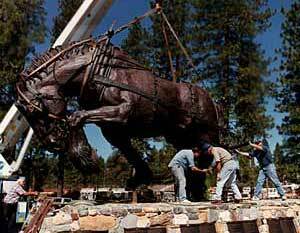 The "Gentle Giant" is a forty-four foot long bronze draft horse monument to the horses that worked the woods and mines in the area. 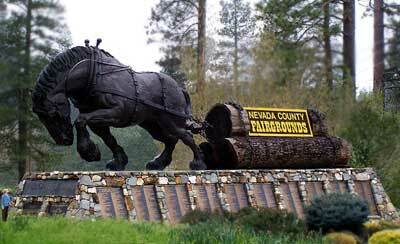 It is located at the Nevada County Fairgrounds, CA. 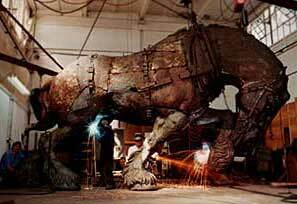 Bronze replicas of the monument are available for $3800. Call for details.